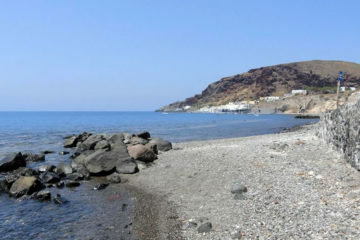 Perivolos is one of the most popular beaches of Santorini. 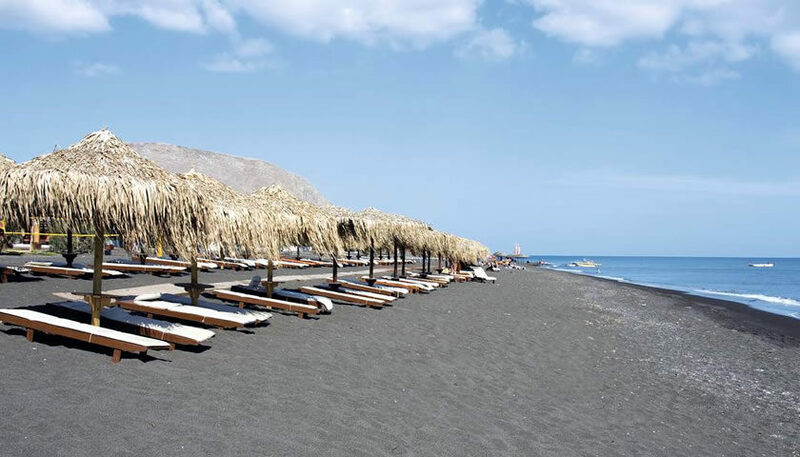 It is a long beach with black sand and clear waters, awarded with E.U. Blue Flag (2017), in the south-east part of the island just after Perissa Beach. Either you are looking for relaxation or for beach parties all day long, this is the place to be. A big part of the beach is occupied by nice beach bars and restaurants. You can relax on the comfortable sunbeds (some of them have the size of double beds) listening to the music, enjoying a drink or food and later in the afternoon dancing in the beach bars when many people go to party! Often special events are organized with guest DJs. Some of the most famous beach bars are Wet Stories, Chili, JoJo which also offers a pool, Kelly’s which is an Irish beach bar where you can find a pool table and mini soccer. If you like beach parties, drinking cocktails and dancing on the sand, this is the place to spend your time! There is also a variety of restaurants which serve traditional or modern cuisine. The price of the sunbeds is reasonable, while in some cases you can even have them for free if you buy something from the bar. Showers are available in the biggest part of the beach. Various kinds of water sports are available, for children and adults, such as jet ski, parasailing, wind surfing etc. There are also beach volleyball courts, where often tournaments are organized. 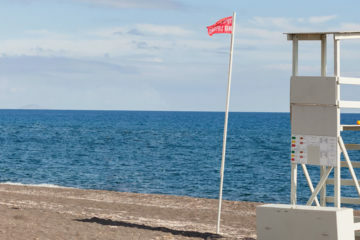 Lifeguards are on duty at the beach from the morning to the afternoon. 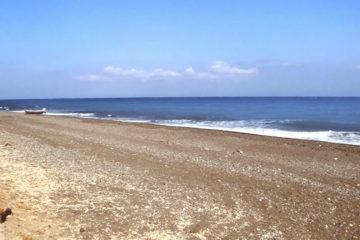 For those who seek quietness, there are parts of the beach which are not organized. When there is a strong south or east wind there might be waves, since the beach is open to the sea. Access to the beach is easy by car or public transport. From Fira you head to Emporio and then you turn to Perivolos. Usually it is easy to find a free parking place on the street by the beach.